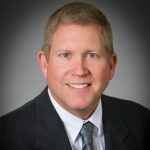 In his most recent role as chief operating officer, Mark was in charge of Ahola’s day-to-day operations, and he held the added distinction of serving as the company’s in-house tax specialist. Mark joined Ahola full time in 1986, taking the reins as COO when his father, Chet, retired. Before that, Mark worked at Ahola part time while attending Cleveland State University. 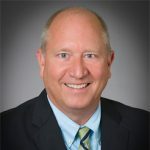 Over the years he has built a breadth and depth of knowledge from his experience in all facets of payroll: processing, sales, collections, and tax services. Mark was instrumental in helping to test one of the first electronic payment systems, TAXLINK, predecessor to the Electronic Federal Tax Payment System (EFTPS) used today. He also worked closely with the Ohio treasurer’s office and department of taxation on developing electronic systems for withholding and remitting payroll taxes. Through Mark’s involvement, Ahola became the first payroll service to voluntarily file withholding taxes electronically, demonstrating the company’s proactive approach to technological advancement. Mark graduated from Lorain County Community College with an associate degree in business, and later received a bachelor’s in accounting from Cleveland State University.